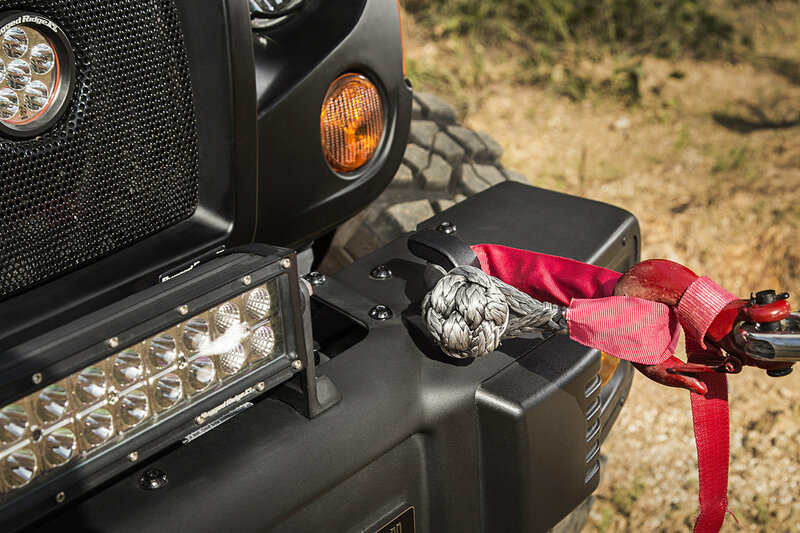 Bring your recovery gear into the 21st century with Rugged Ridge Soft Rope Shackles. 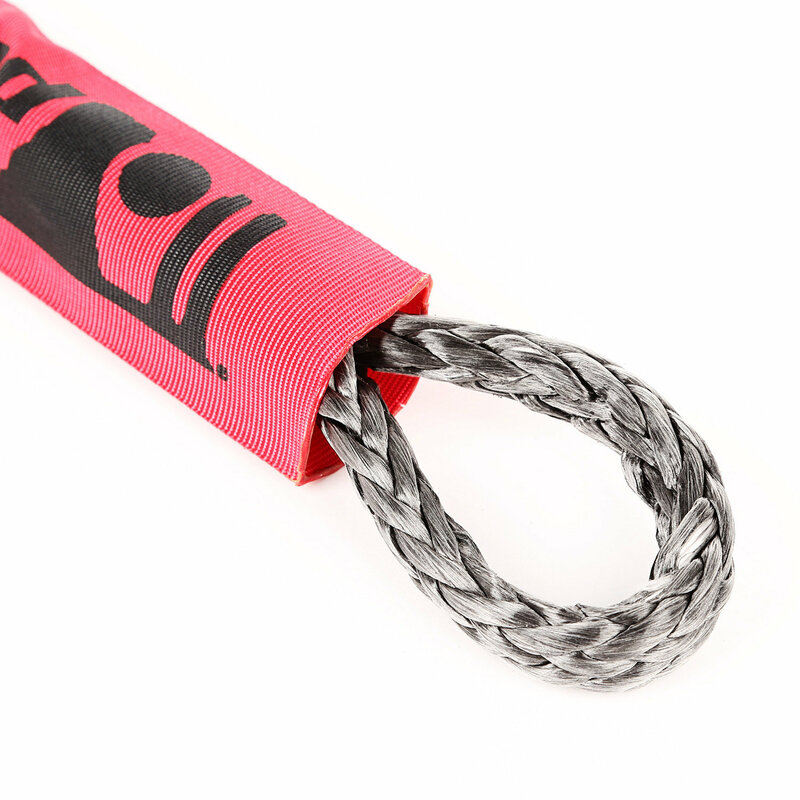 Constructed of an ultra-strong HMPE rope material, these shackles are considerably stronger than steel with a 30,000 lb. breaking strength and, unlike nylon, they actually repel water, resist abrasions and have very low elasticity making them the obvious choice for off-road recovery. 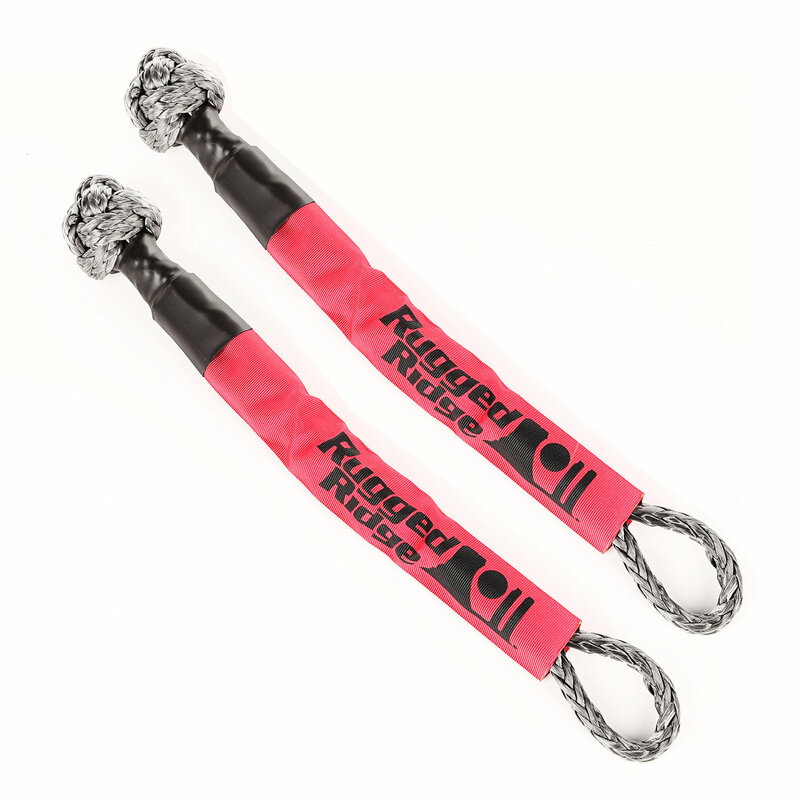 Unlike rigid steel shackles, Rugged Ridge Soft Rope Shackles are always pliable so they can be manipulated easily in tight spaces, even wearing gloves, allowing for painless attachment to tow hooks or recovery points. 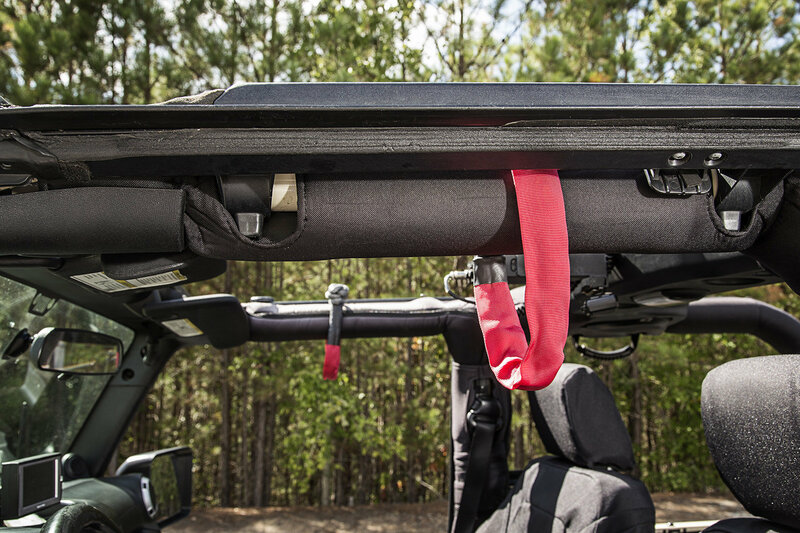 When not in use, Soft Rope Shackles make a great Grab Handle; just store them conveniently around your roll bar at either door - you’ll find yourself using them, even when you’re NOT using them! 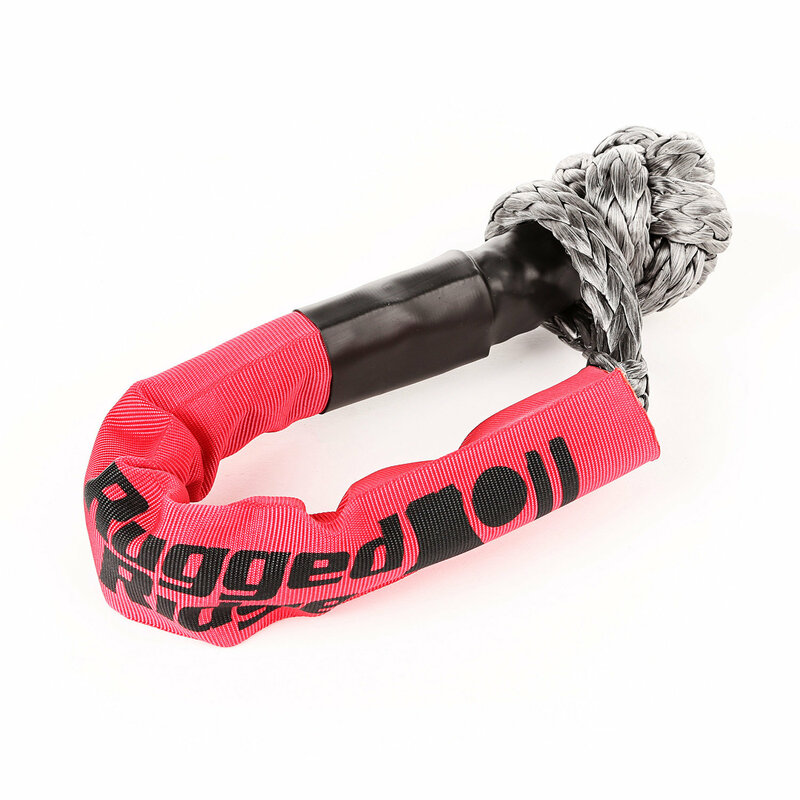 Better yet, Rugged Ridge Soft Rope Shackles won’t ever rust, nor will they open under load however, they can be opened easily once a load is removed, making them an ideal addition to your off-road recovery gear.